Have you recently discovered some mould in your home? 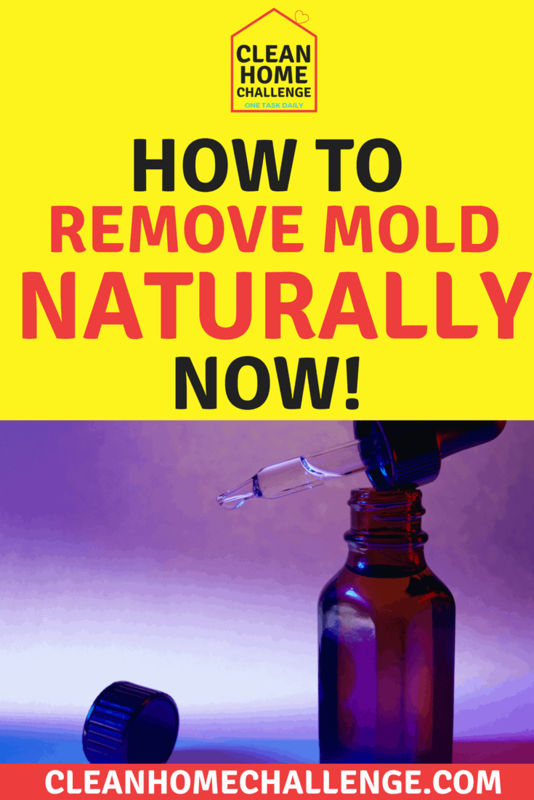 Would you like to know how to remove mould naturally? There are a few options to remove mould naturally from your home, and I’ll discuss them with you in a bit. Mould or mold is a type of fungi. Mould spores are everywhere, and all they need to get going and start spreading is moisture. Mould loves warm, moist, preferably dark environments with some kind of organic source to eat. 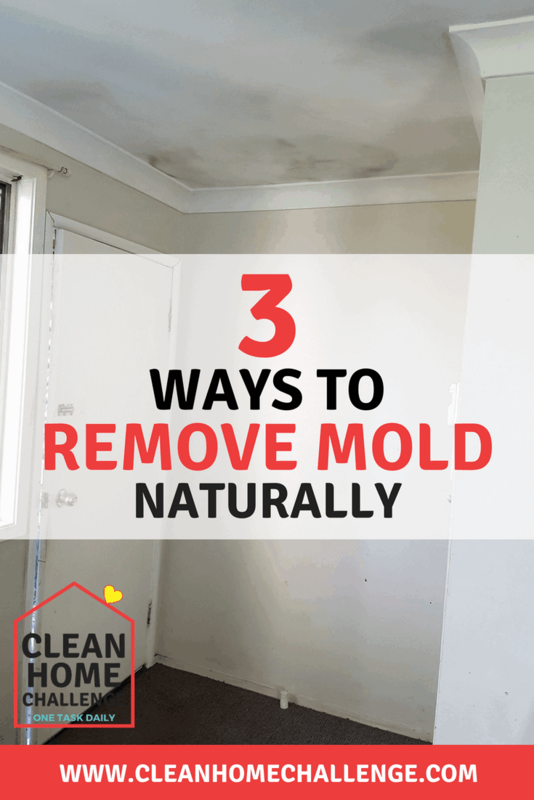 You will typically find mould in your bathrooms, garages, outdoor furniture and even your leather shoes & handbags that have not been aired after rainy days. Chances are, you are reading this as you already have a mould problem. Start of by checking of the list above, and then get ready to clean away the mould. You should know, that there are certain surfaces that will never let go of mould once it has attached to it. It’s always worth giving it a go to remove it, but some fabrics and painted wooden surfaces will still hold onto the mould spores. 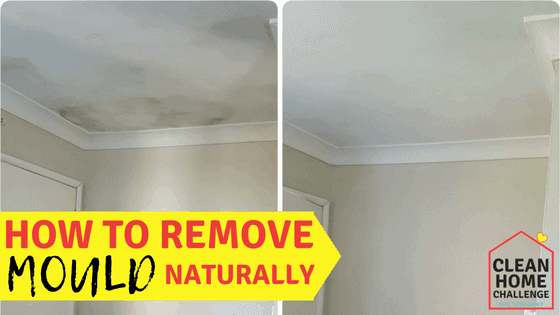 The idea that bleach can kill mould is a myth! Bleach only kills surface mould, not the membrane that lives underneath. In the past you may have used bleach to remove your mould, and then wondered why the mould also seemed to return not long after cleaning it. The truth is, bleach does not KILL the mould spores entirely. Bleach, makes the mould look likes it magically vanished, right in front of your eyes, but trust me, it’s still there!! Just hiding, until you turn your back for long enough, and then it’s back! All the health-risks that are associated with mould (especially for asthma and allergy sufferers) will still be there, whether you can see the mould or not. The ONLY way to remove mould it to KILL it, REMOVE it and PREVENT new spores from growing. Breathing in mould is a serious health risk, especially for those who suffer from asthma. Be sure to wear googles, gloves and a face mask when cleaning and removing mould. There are a few natural options to killing and removing mould. Straight white vinegar in a spray bottle.Vinegar can kill up to 85% of mould species. Whilst this option is a bit strong on the nose, it is possibly something you already have in the home, and can use it today. Simply spray onto affected areas, scrub, and let dry. 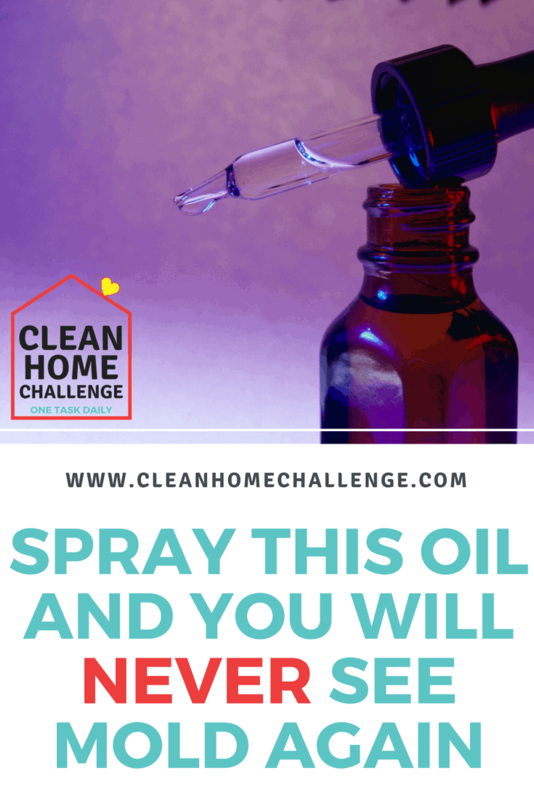 Add 1 teaspoon of clove oil to 2 cups of water into a spray bottle. Spray onto affected areas, and leave overnight. Wipe clean in the morning with microfibre cloths. Tea tree oil is a natural anti-fungal and antibacterial oil, making it the perfect option for killing mould naturally. Mix 2 teaspoons of tea tree oil to 2 cups of water in a spray bottle. Spray over the affected areas, and use a scrubbing brush or cloth to remove the mould. You should always use protective gear, such as googles and a mask as mould spores will become airborne when you start to clean them. 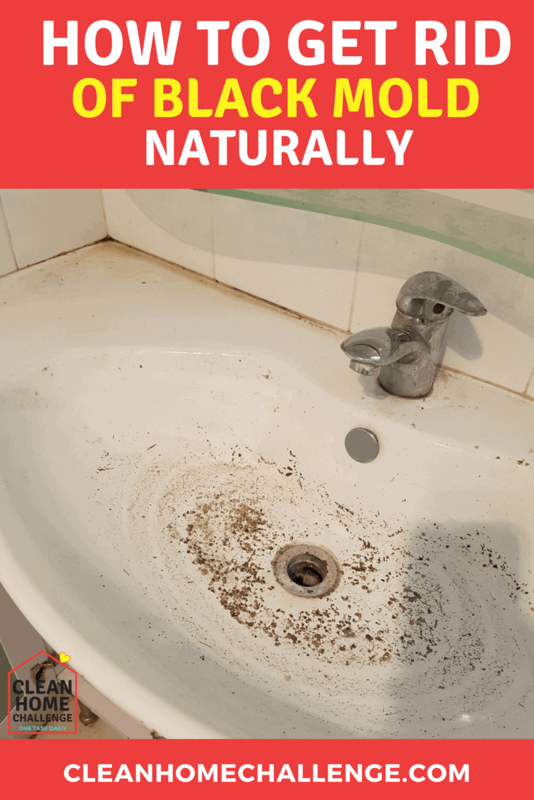 After spraying and scrubbing this mixture over your mould affected areas, you can leave to dry naturally, as this will prevent mould from growing back. This method of removing mould naturally does have a strong smell, but it will vanish after a few hours. 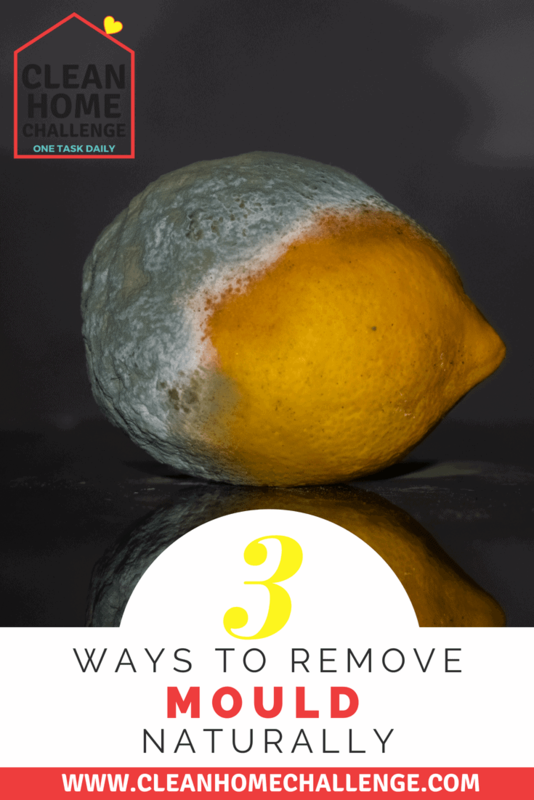 If you have stubborn mould, spray once and leave overnight, and then spray again in the morning and scrub. As mentioned above, there are a few ways to ensure that you give your home the best chance of not having mould. The top 2 things to do is to have great ventilation and to remove as much moisture as possible. Great ventilation means, open windows, using exhaust fans and opening doors when you can. Remove moisture, means don’t leave wet towels or clothing around. 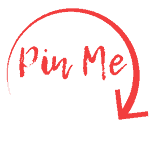 Wipe down wet areas when you have finished using them, and to wipe away condensation after wet or humid days. Use moisture absorbing granules in your cupboards or damp areas of your home.